Pet food including treats can be easily contaminated with bacteria, such as salmonella and listeria, when handled improperly. 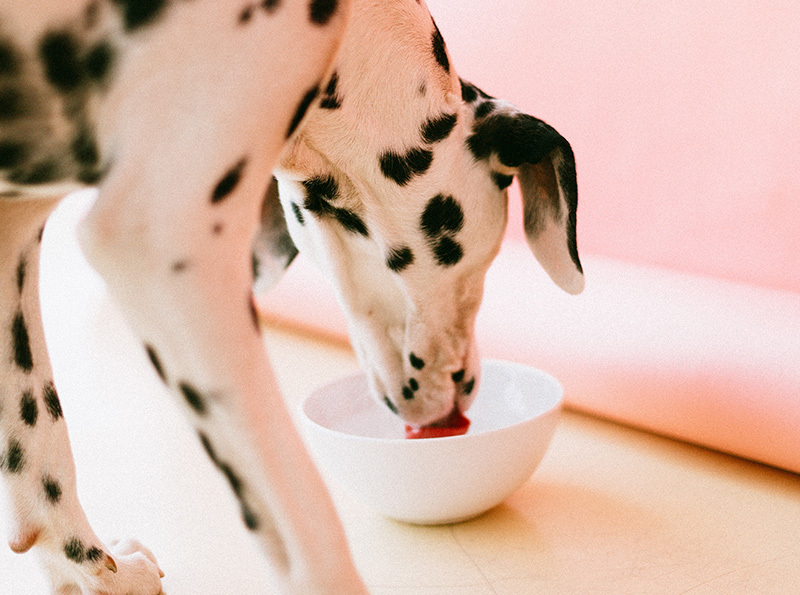 While pet food manufacturers are required by law to ensure that their products meet the standards set by the Food and Drug Administration (FDA) to prevent contamination, pet owners are well-advised to be mindful, if not vigilant, of the potential risk. The risk of contamination is present at any stage, from buying to opening, handling and storing pet food. Such mindfulness isn’t just for the benefit of the pets, too! Animals infected with bacteria-borne illnesses after consuming contaminated food also pose a health risk to humans, especially those they come in contact with. Always wash your hands and the preparation surfaces, such as tables and countertops, with soap and water after handling it. Clean and disinfect all the surfaces where the food came into contact with, from countertops and appliances to forks, bowls and knives. Separate the raw pet food from the rest of the human food in the freezer or refrigerator. If necessary, get a small freezer exclusively for the former. Freeze raw pet food and thaw only when it’s ready to use. Throw any uneaten food into the disposal bin where children and pets can’t get to it. Avoid letting your pet lick your mouth and face after he has eaten raw food, especially meat since it’s more likely to contain illness-causing bacteria. But if still did, be sure to wash your hands and the parts of your body where he licked with soap and water. And don’t even think that just because your pet didn’t show signs of a bacterial infection means that he isn’t so. The bacteria has an incubation period so it will take a few days before the symptoms, such as nausea and vomiting, bloody diarrhea, and fever, become visible. Processed pet food, however, still carries the risk of illness-causing bacteria. You should only buy pet food products, whether these are in pouches, cans, or bags, in good condition. You have to check the packages for visible signs of damage like tears on the pouches, dents on the cans, and rips in the bags, among others. These openings can become the entry point for bacteria, fungi and pathogens to contaminate the food. Even a small hole, for example, in a vacuum-sealed food product is a cause for concern for this reason. Of course, you should check the expiry date of the pet food. You can also ask the staff at PetSmart about the best pet food for your cat or dog in relation to his age, breed and condition. Even with pet food in good condition, it’s so easy to contaminate it upon opening and preparing it. Here are the most important tips in preparing pet food that you should be mindful of. Always wash your hands with hot or lukewarm soap and water before and after preparing your pet’s food including his treats. Wash your hands for 20 seconds, at least. Wash your pet’s food bowls, scooping utensils and other food prep tools with soap and hot water after each use. This way, you can use them immediately for the next time. Use a dedicated sponge and other washing utensils for these items to avoid cross-contamination. Use a clean scoop – or a spoon or measuring cup, if it isn’t available – instead of a food bowl in getting food portions from a bag, pouch, or can. Use the scoop only for scooping pet food to be safe. Throw out spoiled, contaminated, and old food safely – place it in a plastic bag and secure it with a string. Proper storage of pet food is just as important as its proper purchase and preparation in reducing the risk of food-borne contamination. Store dry pet food in a cool, dry place, preferably with a temperature below 80°F. Excess moisture and heat can result in the breakdown of its nutrients. If it’s in a bag, use the bag for storing it but be sure to keep its top folded down tightly. Refrigerate or dispose of leftover or unused pet food in pouches and cans. If it’s refrigerated, be sure that it’s covered well and the refrigerator’s temperature is 40°F or below. Again, you may have to buy a refrigerator exclusively for the pet food. Read the label directions about the proper storage and disposal of the pet food, and follow them for safety reasons. If you have children in your home, you should keep the pet food in a safe and secure place, preferably out of their reach, so as to prevent them from ingesting it. You should also teach kids about proper handling of pet food. Keep in mind that your dog or cat is almost like your baby, if not your baby, and so he deserves the same care as your offspring, food preparation-wise. It’s your responsibility and you should take it seriously.